The T Sisters, born and raised in California and now based in the creative hub of Oakland, embody harmony. It’s in their blood, bones, and history. Erika, Rachel and Chloe have been singing and writing music together since childhood, and the lifetime of practice shows. The three sisters’ inventive songwriting is supported by their own acoustic instrumentation as well as upright bass (Steve Height), mandolin/guitar (Andrew Allen Fahlander), and drums. 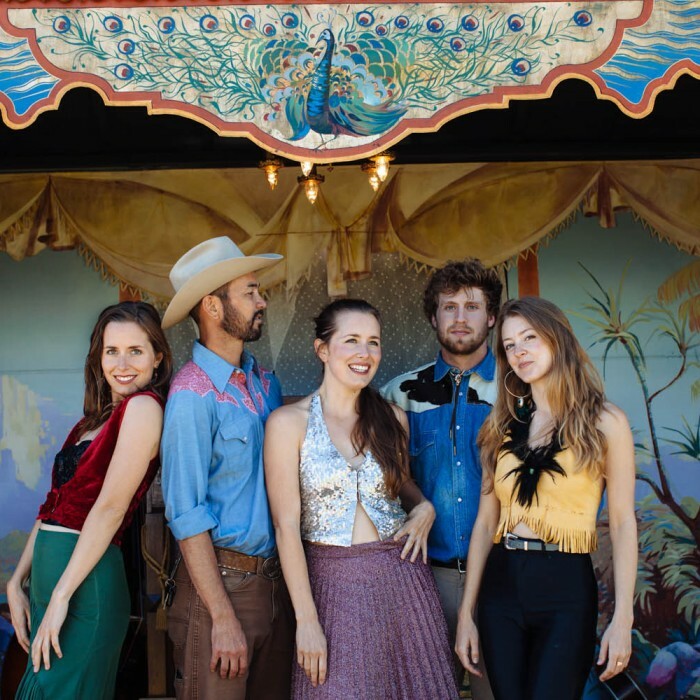 Their sound represents a continuum of music, from traditional to pop influences, moments of breathtaking a cappella to swells of energetic indie Americana. In the last two years, they’ve been honored to support such acts as Amos Lee, Todd Rundgren, The Waybacks, Laurie Lewis, ALO, Elephant Revival, The California Honeydrops, and more. Notable performances include Merlefest, Kate Wolf Music Festival, High Sierra Music Festival, Hardly Strictly Bluegrass (support role), Sisters Folk Festival, Strawberry Music Festival, Americana Music Association Festival, Music City Roots, and Garrison Keillor’s ‘A Prairie Home Companion’. In 2014, the T Sisters released their debut full-length album Kindred Lines under the production of folk/bluegrass legend Laurie Lewis, and they look forward to the release of their new full-length album recorded at the legendary Barefoot Studios in LA in 2016.